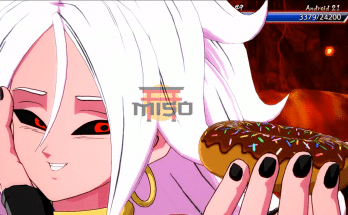 Dragon Ball FighterZ Competitive Essentials - miso! 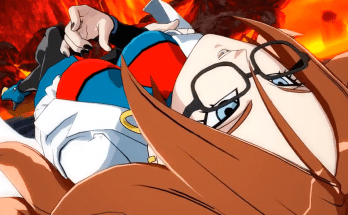 So you’ve spent hours of Dragon Ball FighterZ training in the lab with your favorite characters comprised of three, and you’re determined to make an impact on the competitive scene. Below are a few essentials dedicated to making sure you’re at the top of your game. By definition, ‘Neutral’ is when both players have neither an advantage or disadvantage over each other. This is categorized by combatants having a decent amount of space between each other. 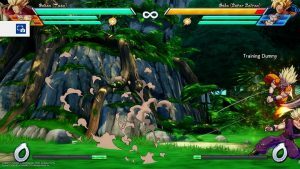 The goal in Neutral is to gain the upper hand from afar so that you can get in and start doing damage. There are a few ways to go about this from most effective, to least effective. When you’re a fair distance away from your opponent, some characters have special attacks such as ki-blasts to attack the opponent from afar. 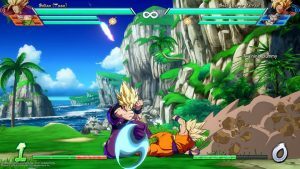 Depending on the character, you may even be able to jump and throw ki-blasts down at the opponent. You can also use QCF + S (Quarter Circle Forward + Special attack) to launch a beam attack at them. If your opponent is smart, they’ll block this attack, meaning they’re a sitting duck that you can use to close the gap against. Although this is the most effective method, using it too much will make you predictable, and susceptible to being punished. 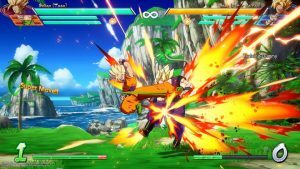 A snap vanish is essentially vanishing from your current position to appear behind the opponent and deliver a knockback attack. This makes it extremely effective in the Neutral game, as it basically draws you directly to your opponent regardless of their action. From this, you’ll be able to get in close and begin your combo string upon the enemy to solidify your pressure. 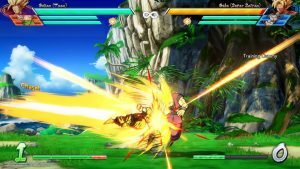 If your opponent anticipates your snap vanish, you could be punished with a 2H or (Down + Heavy). This costs 1 bar of meter. Super Dashing is almost like a double-edged sword in this game. On one hand, it allows you to home in on your opponent. On the other hand, it’s extremely easy to read and punish. 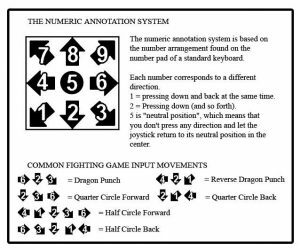 Utilizing it successfully allows for you to begin combos that you wouldn’t be able to do otherwise. You should never make this your main method of approach from a distance. Block strings refer to a combo of attacks done upon a guarding opponent in an effort to open them up. We all know that blocking is an essential part of the game to protect you from damage. Depending on your opponent, it may take a very well placed block string in order to get the opening you want. Most basic block strings begin with a light attack (L), and end with heavy attacks (H). A basic block string would look something akin to L > L > M > M > H (Light, Light, Medium, Medium, Heavy). If you’re fighting a seasoned opponent, that block string will ultimately be blocked all the way through. So.. what can you do if this is the case? 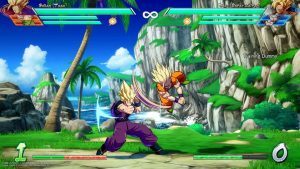 Mixing up your combos while performing a block string is extremely important in order to make your opponent drop his guard. The term “Mix-up” essentially means making your opponent guess what your next move is going to be, making them react in a certain way. Above all, this will be the main part of you getting your damage. Perhaps after the first two lights, your opponent is adamant on keeping that guard up no matter what. 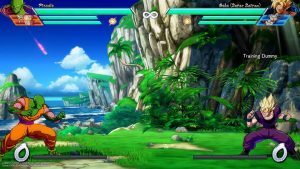 This is where you’d throw a 2M (Down + Medium) attack to sweep them off of their feet during a standing guard, only to follow up with an H (Heavy) to send them flying into a combo. There are many ways to mix your combos up during a block string. For example, an intermediate one could be L > L >2M > 5M > H > QCF S (Light, Light, Down Medium, Standing Medium, Heavy, Quarter Circle Forward Special attack). There are a variety of ways to mix up your combos to keep your opponent guessing. Try a combination of high and low attacks to see how they react. Pay attention to exactly how your opponent guards your block strings. Do they guard low after a certain attack? To they remain high…? It’s all a guessing game. Have you ever found yourself being the victim of a hard knockdown that places you into a corner..? 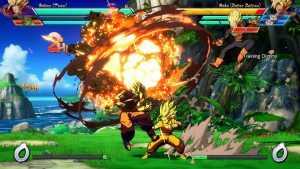 You try to stand, and almost immediately does your opponent launch another attack at you, either forcing you to block a block string, or landing a successful attack that follows up into another combo. This is called corner pressure, and it’s an extremely important tool for you getting in some extensive damage. Immediately after a heavy knockdown into a corner, the most basic follow up to keep up the constant pressure is an instant air dash heavy. (Upforward + R2 > H). Usually when put into a corner your opponent will either wake up and block low, jump into the air to avoid being block stringed, or reflect. You need to watch your opponent closely and see how they recover in order to determine how to keep the pressure on. Last but not least… Assists! 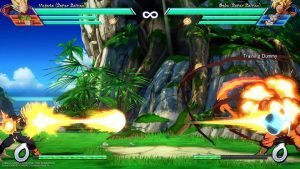 After you’ve put in some time learning the ins and outs of your character, there’s another half of the battle you’ll need to learn if you truly want to burn through the competitive scene. 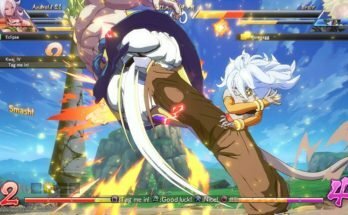 Assists are extremely vital in Dragon Ball FighterZ. No matter how good you are with a character individually, you need to learn synergy to utilize your full potential. 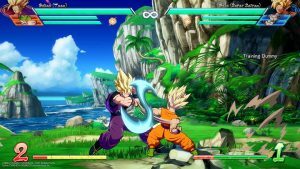 Assists can keep block string pressure up by covering you at the end of your initial block string. They extend your combos for more damage and ultimately allow you to dominate the neutral game. By having them attack your opponent as you close in from afar, your neutral will improve. Of course, each assist is different, and it’s up to you to learn how to synergize with the characters you have on your team. Try including an assist in the middle of your combo, or after it to keep the pressure up. Eventually, you’ll get used to the flow, and be able to keep your opponents on the defensive.